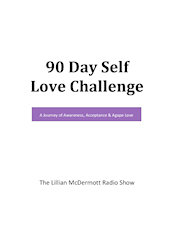 Week of 4-16-18, on The Lillian McDermott Radio Show! What an incredible week full of love and great appreciation! We had our kickoff meeting of the HEAL (Healthy Eating And Living) Tribe on Wednesday, April 11th… It was such a great success! The food was provided by Abe Alkhmoor of Kaboom Kababs and it was phenomenal! Our next HEAL Tribe gathering in Jacksonville, FL is on May 23rd! Our HEAL Tribe “kickoff” gathering in Brevard County is at Bonefish Grill in Merritt Island on April 25th at 5:30 pm! Please RSVP by calling 2 days prior to either event! Hope you can join us! My article for Florida Today was published and here is the link if you want to read it. “How Does The Body Speak?” Please remember, you can find me on WEFS-TV, today, at 5:30 pm. Hope you can tune in to channel 1068 on Central Florida Brighthouse/Spectrum! Finally, we spent 3 days with our beautiful grandbabies, Bailey, Jonathan, and Rylan. Look at these three! Love, Joy, and Awe… My cup runneth over! Watch how Bailey, Jonathan & Rylan liked my whole food plant based shake! Monday, 4-16-18 ~ Do you feel stuck in your life? Do you feel you were dealt a “bad hand of cards”? Would you like to make changes, but you are afraid to fail? Dr. Lee Baucom is the author of “The Immutable Laws of Living: The Inspirational Blueprint to Living Your Meaningful Life.” He will share how we can achieve our highest potential through obeying the natural laws of living. Tuesday, 4-17-18 ~ When I met Senior Pastor Corky Calhoun at “Georgiana United Methodist Church,” I knew that he would be on my show. Everyone who walks near his “energy field” feels his wisdom and charisma. Pastor Calhoun will share how to love in a way that never fails. Wednesday, 4-18-18 ~ Have you had your G-BOMBS today? If you haven’t, you will want to after our show. World Renowned, New York Times Best-Selling Author, Dr. Joel Fuhrman, will teach how there is no need to EVER Diet Again as we discuss his book, “The End of Dieting”! Thursday, 4-19-18 ~ Earth Day is the day we support environmental protection… It has been documented that industrial animal farming generates enough gas to create global warming. What can we do about it? The chef’s at Vernon’s Restaurant at Marriott Sawgrass, have created a delectable vegan, whole food plant based, called “Feast For Rabbits”! (See below 😉 Executive Chef Joe and Chef Riley, will join us to share why they have embraced this lifestyle. What are you doing on April 22, 2018 at 5:30 pm? Jax Vegan Couple and I will be at Vernon’s. Please join us as we help create awareness. Check out the menu below. I is truly a “Feast For Royalty”! Friday, 4-20-18 ~ With so many advances in technology, why are so many people sick, anxious, and depressed? Even people who have experienced sadness in their lives are placed on antidepressants? Why is that? Is there another way to treat these symptoms? Norm Shealy, MD, PhD, will share how to heal fatigue, anxiety, and depression, naturally. Saturday, 4-21-18 ~ It’s time to explore the law with Lilly’s Legal Dream Team! Attorney Heath Brockwell of The Brockwell Firm is ready to help all of my listening friends. We will discuss the importance of personal injury protection (PIP) and why legal representation could prevent a different kind of injury! On April 15, 2018 / What is Happening Weekly?